Making a pizza for dinner! 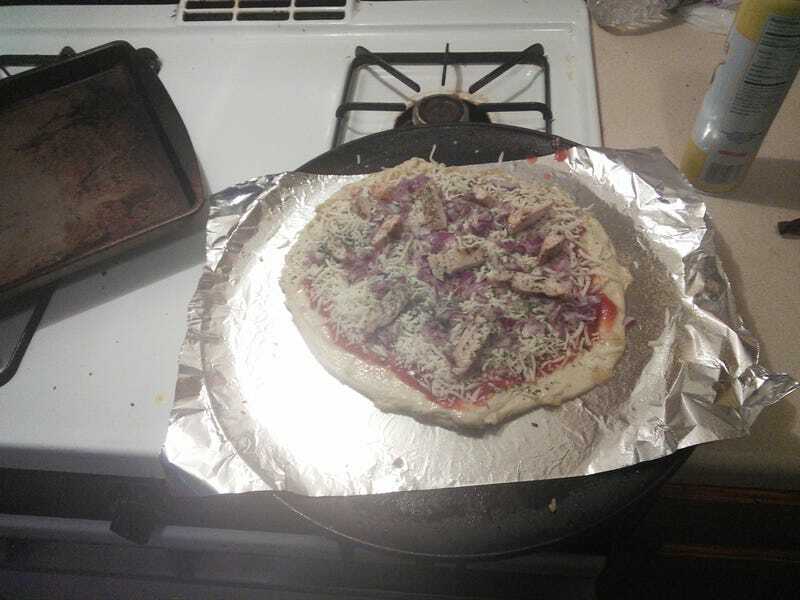 Chicken and onion, on just some store bought pizza dough, canned crushed tomatoes, grated mozzarella cheese (packaged) and spices. Not the best way to make pizza but it’s way better than frozen or domino’s! It should come out pretty good after a half hour or so at 450. 3000 mile road trip at the end of the month in my Miata is a go! Anyways, my work trip got cancelled so my 3000 mile road trip coming up (leaving on Thursday) has gotten slashed a bit. I’m still heading to Florida via Skyline drive but on the way back I only have 2 and a half days instead of 5 so I had to cut out a few things. No more camping, no Cherohala Skyway, and no Tail of the Dragon. But I will still be spending a full day doing Blue Ridge Parkway! Should be a blast driving from around mile marker 380 all the way to the north end (0 mile) in my miata. Luggage rack is ready to go and I’ve got my suitcase mostly packed. I’ll still be driving 2000 miles so it should be a hell of a ride! Anybody got tips on places I should stop along the BRP? I’ll mostly be driving through but I’d definitely like to stop at things worth the time for.